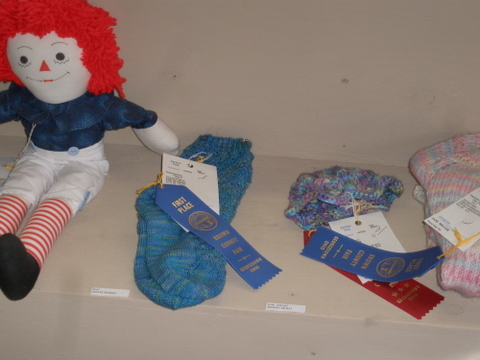 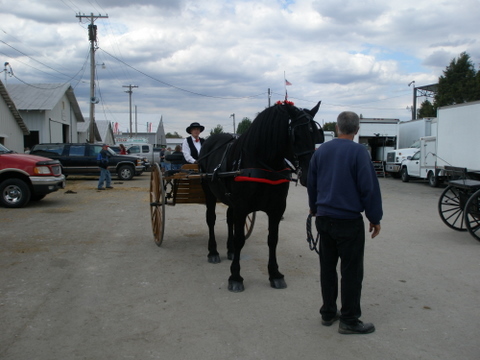 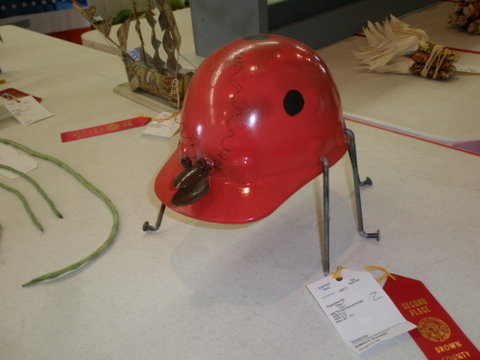 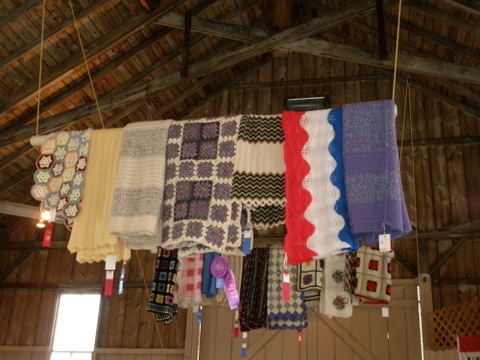 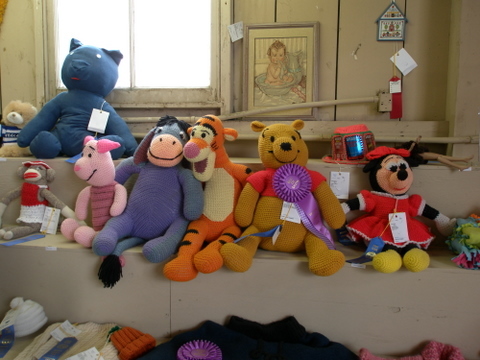 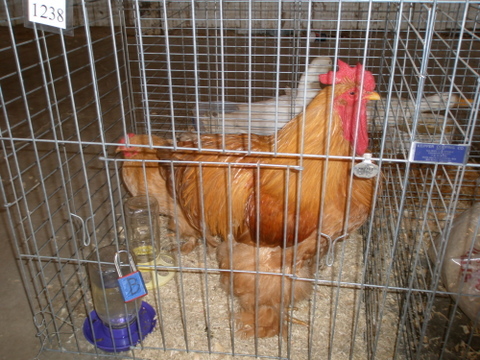 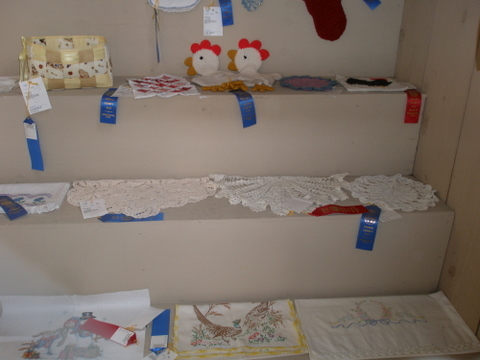 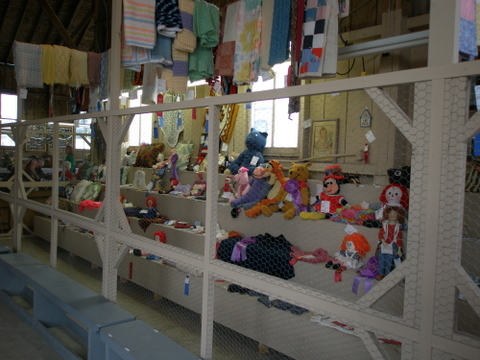 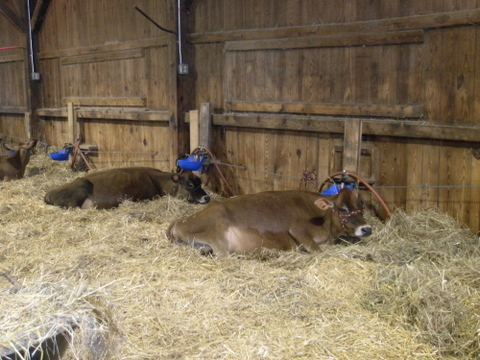 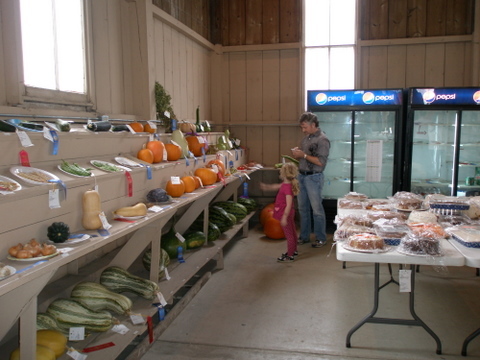 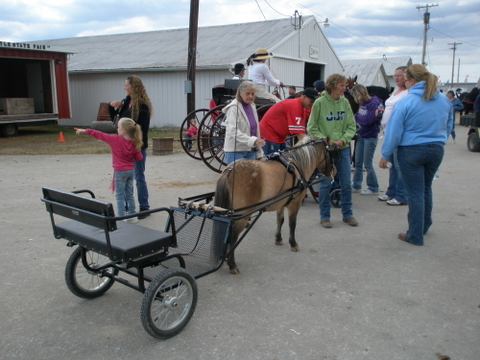 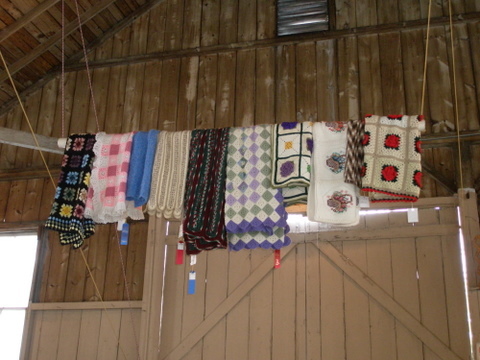 Fair 2010 – behold the Great Pumpkin! 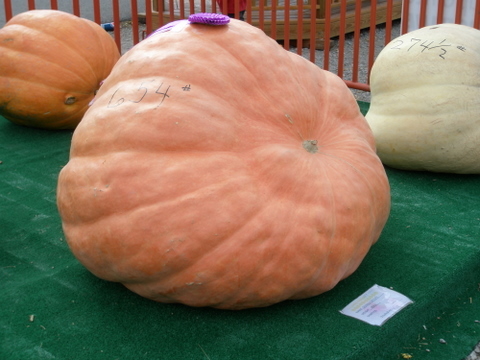 The Brown County fair this year brought some GIGANTIC pumpkins! 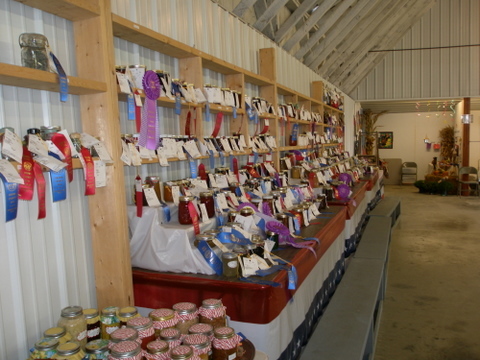 The winner was 654 pounds! 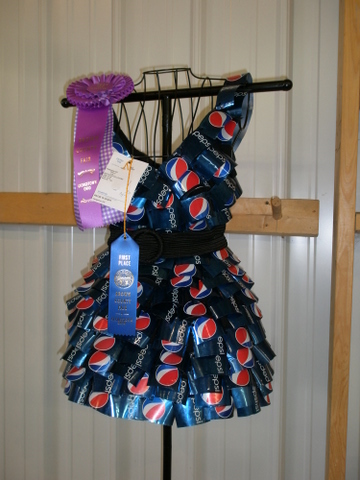 The recycled art was again a favorite of mine. 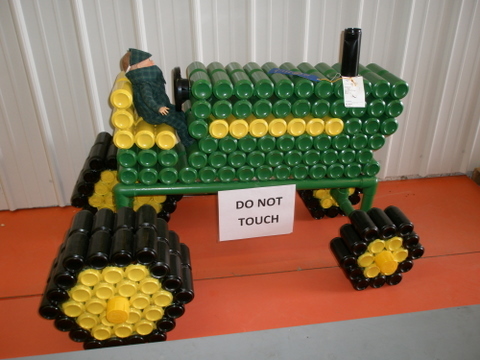 but my personal favorite was the John Deere tractor made from soda cans. 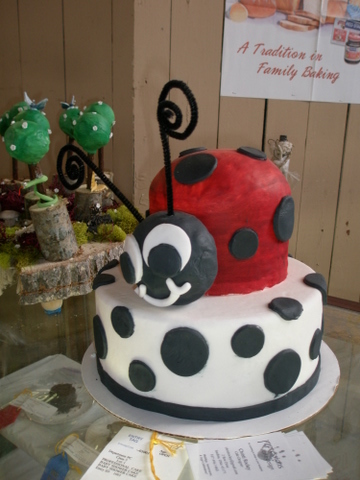 The lady bug was also cute! 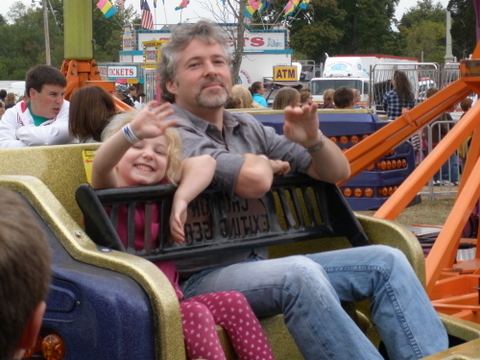 This year little Bug was big enough to ride the rides with Dad. 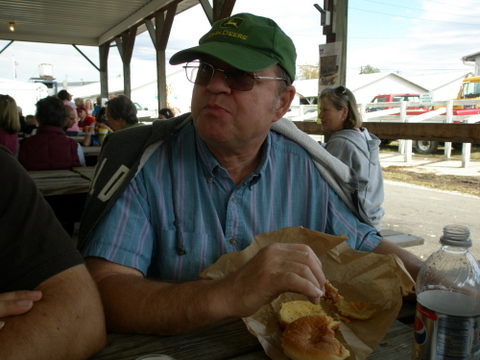 And of course, the fair would not be complete without a fresh pork tenderloin with the family (here, my Dad).